The Art of Dying is a really challenging platformer I've made in AGS. It features two difficulty levels (really hard and unbelievably really f*cking hard), a six level campaign and a full-featured level editor. You can make your own levels, then share them and find others to download and try to beat yourself on the official level sharing platform: http://dkh.agser.me/die. Gamepads and other external controllers are fully supported, although the controls work nicely on keyboard as well. Thank you for the Best Non-Adventure Game and Best Programming AGS awards! You rock. How was this created with AGS is beyond me. Amazing stuff! If you think you're good with platformers go on and play it... And go back to being a noob again! Ha! This game is madness. Go. Play it. NOW. 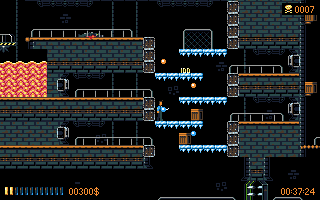 Awesome platformer, must be on your playlist! An awesome and incredible hard Jump and Run game made in AGS with cool pixel graphics and a pushing chiptune soundtrack. Tight controls and joypad support are included, so it's always the players fault if he dies, you can't blame it on the controls, Sonny! Go play this now and die a lot and curse even more! Take the challenge! Imagine Mega Man without checkpoints, health bar or ranged attacks. The easy mode is already hard as hell. Six levels doesn't sound like much, but I can imagine that it will take a while to play thorugh the game in hard mode - and even then, you can still try and beat your time or score record, and the level editor promises many more levels by the community. This game is HARD lol but it's really fun! 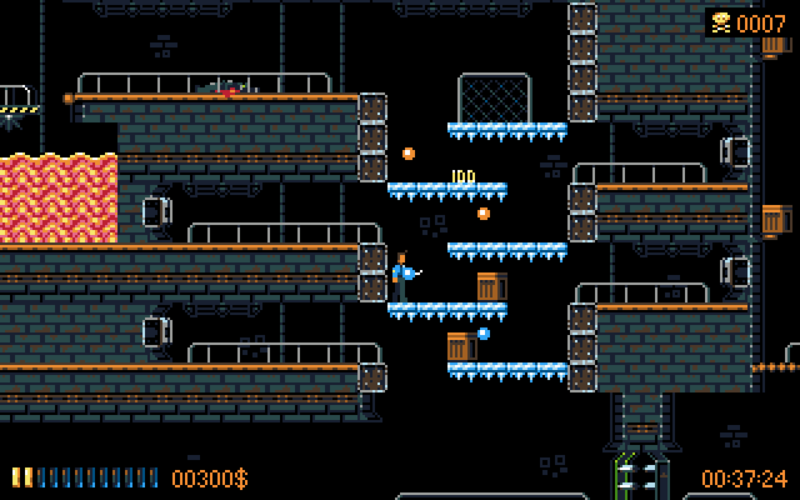 A really great platformer and anyone who loves platformers should definitely try this one out! Even people who don't! I love the level editor and can't wait to start making levels and share them with everyone else!